Born in London, Bushra El-Turk's music of '...ironic...', '...arresting...' and 'limitless imagination' forebears the influence of her Lebanese roots and straddles Eastern and Western idioms all the while leaning towards the absurd and theatrical. Selected by the BBC as one of the most inspiring 100 Women of today, Bushra has written various works for the concert hall, dance, theatre and multi-media, both performed and broadcast on radio and television worldwide. Her pieces have been performed by ensembles including the London Symphony Orchestra, BBC Symphony Orchestra, BBC Scottish Symphony Orchestra, Royal Opera House, London Sinfonietta, Birmingham Contemporary Music Group (BCMG), Manchester Camerata, Opera Holland Park, OrchestUtopica (Portugal), Athelas Sinfonietta (Denmark) Hermes Ensemble (Belgium), Orchestre National de Lorraine (France), Latvian Radio Choir, Ensemble Saraband (Germany), Atlas Ensemble, Ensemble Zerafin, Orkest de ereprijs (Holland), Lebanese Philharmonic Orchestra, Lunatics at Large (USA) and Wissam Boustany. Performances have been at venues including the Lincoln Centre (New York), Bridgewater Hall (Manchester), Birmingham Symphony Hall, Cadogan Hall, the Southbank and the Barbican (London). Summer 2017 saw excerpts of her new opera Woman at Point Zero (libretto by Sabrina Mahfouz, directed by Maria Koripas, Merit Ariane Stephanos as Firdaus) performed at LSO St Luke’s, presented by the Royal Opera House, Shubbak Festival and supported by the Abu Dhabi Festival, Arts Council, Jerwood Foundation and PRS Foundation. The Woman at Point Zero opera is also supported by the unique Snape Maltings Open Space artist residency programme during the years 2016-2018. 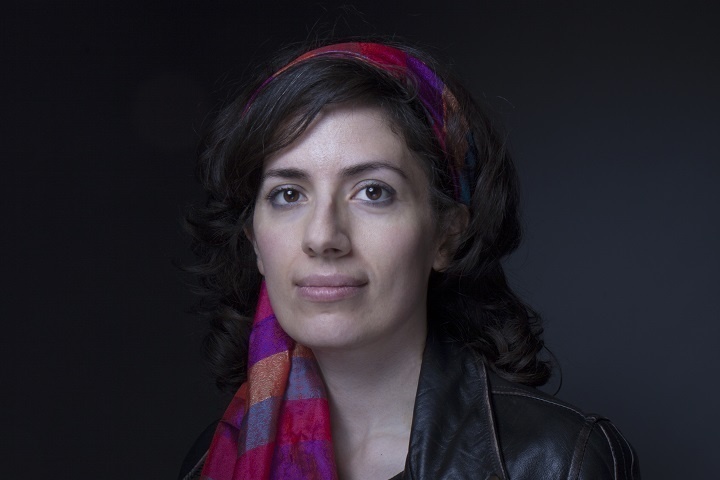 She has also completed an AHRC funded PhD in Musical Composition at the University of Birmingham under the supervision of Michael Zev Gordon, where she explored the integration of Middle-Eastern and Western art music. 2018 will witness Bushra's BBC Proms-commissioned debut writing for the mezzo Wallis Giunta, a piece for the soprano Carly Owen at National Opera Studio and for Berlin's Babylon Orchestra. Bushra is published by Composers Edition.